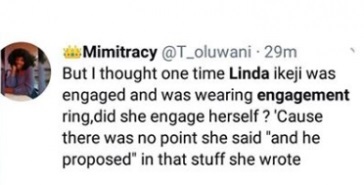 Did Linda Ikeji Fake Her Engagement? 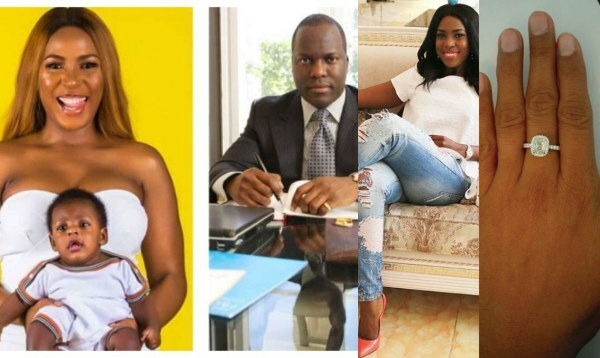 Nigerians have accused famous blogger, Linda Ikeji of deceiving them after she opened up about her relationship with baby daddy, Sholaye Jeremi. Recall that Linda today revealed that Sholaye Jeremi is her son's father but that they do not have any relationship anymore. 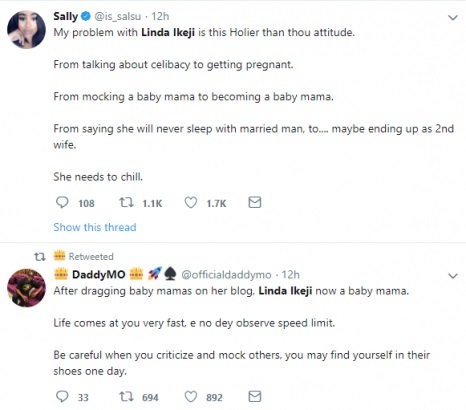 During the cause of her revelation, the blogger didn't mention the alleged engagement that her sister Laura had publicized some months back. 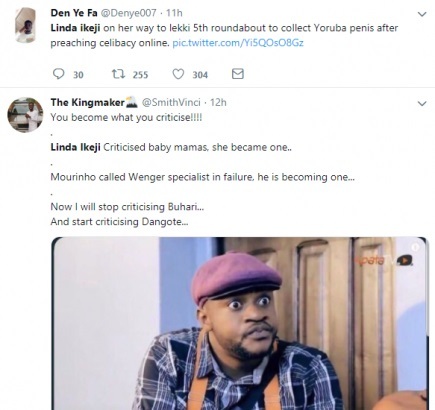 Nigerians are now questioning Linda that she deceived them as details she revealed in her story showed that Jeremi dumped her without engaging her. 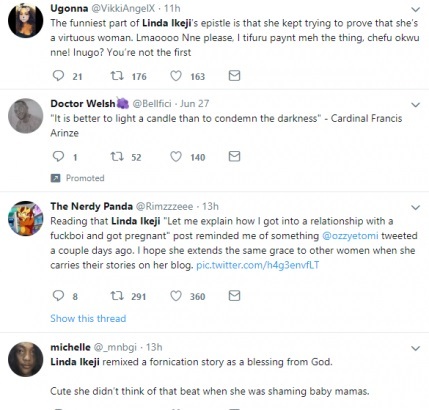 Recall also that Linda had disclosed that her baby daddy dumped her and became so wicked to her, after she got pregnant for him. However at some point in her lengthy disclosure, she stated that they planned a traditional marriage but never disclosed if she got proposed to by her estranged baby daddy. She further disclosed that they will get back. She wrote: "Around when I was about three months pregnant, he did come to see my parents and actually became very cool with my dad. They were literally exchanging Whatsapp messages every day. He later agreed to a traditional wedding which he didn’t follow through and then he switched. He began to treat me with so much hate and aggression that I and my family had to cut him off completely." 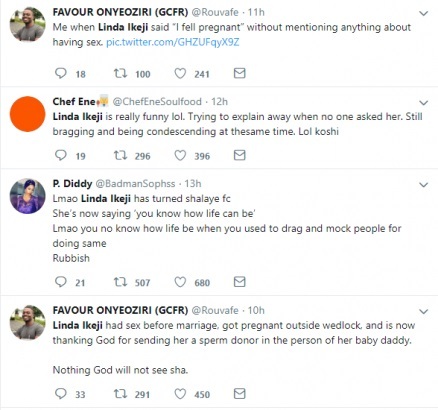 Some Nigerians say Linda Ikeji obviously faked her engagement, while others insist that she is facing karma as she criticized baby mamas in the past.